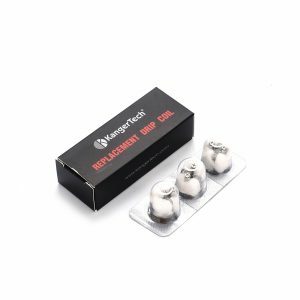 Joyetech NotchCoilTM head is manufactured for the Joyetech NortchCore tank and feature 0.45ohm resistance. 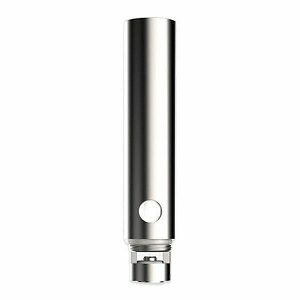 Joyetech NotchCoilTM head is manufactured for the Joyetech NortchCore tank and feature 0.45ohm resistance. 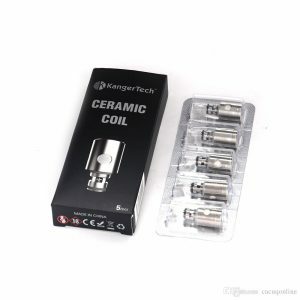 These coils adopt a horizontal way to provide the purest flavor of your e-juice. Utilized at low wattages 20-30W, the NotchCoilTMcoils produce huge clouds of vapor. 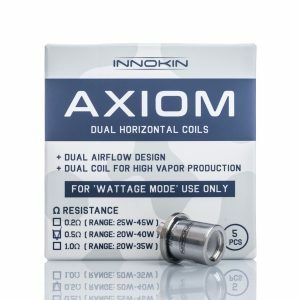 The best performance these coils can offer at 25W. Besides, they are easy to install. 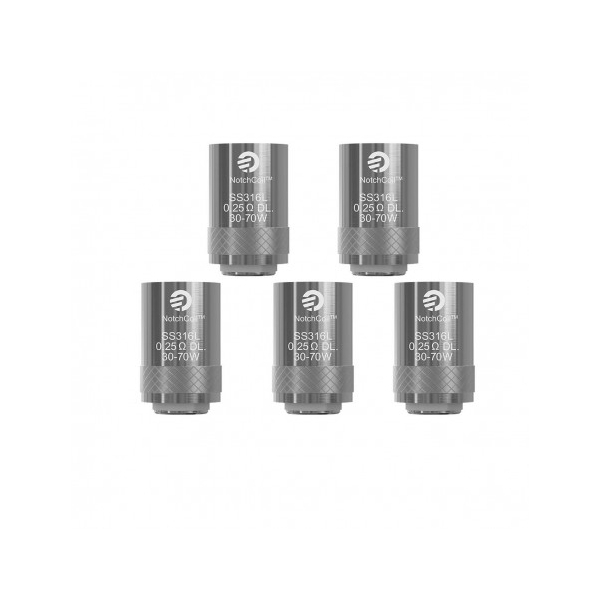 In comparison to other normal coil heads, the NotchCoilTM is much cheaper. You can get it on the vaping market in a pack of 5.